Born 28 October 1880 in Ashton Gate, Bedminster, Somerset [registered in Bedminster, December 1880]. Cannot be found on the 1881 census, but we know that William is born to Thomas James and Sarah (née Cox). According to the 1891 census, William has two more younger siblings, making him one of eight, living at 2 Ashton Place in Bedminster. According to the 1901 census, William is a tanner married to Rosian, living at his parents home at 172 North Road in west Bedminster. They have a daughter, six month old Rosina Ellen. They live with his sister, Louisa and her husband and children, as well as three unmarried sublings. His father is a watchman at the Electric Light Works. According to the 1911 census, William John is a professional footballer, still married, now with five more children. Three sons, William James, Thomas George (who were both born in Aberdare) and James, two daughters, Lillyy and Ivy, all living at 44 Exeter Road in Bristol. A seventh will be born before the year is out, Frederick George. According to the 1939 register, William J., a licensee, is married to Ada L., living at The Star Inn, 1 Bower Ashton Terrace in Bristol. Married: twice, firstly to Rosina Maria Lilly, 20 May 1900 at St. John's Church, Bedminster [registered in Bristol, June 1900]. secondly to Ada Louise Owen [registered in Bristol, June 1918]. Died: 24 January 1965 at 4 Clift House Road, Ashton Gate, Bristol, aged 84 years 88 days [registered in Bristol, March 1965]. Left £1067 to his widow, Ada Louise. 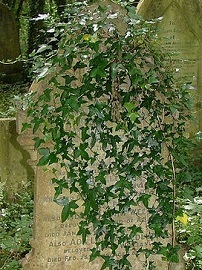 Interred in Arnos Vale Cemetery, Bath Road, in the Arnos Vale area of Bristol. Height/Weight: 5' 4½", 10st. 7lbs . Club(s) Began his football career playing with Masonic Rovers FC and Bristol Melrose FC. Je joined Arlington Rovers FC and made with them for four years, during which time he signed amateur forms with Bristol City FC and represented Gloucestershire FA. From the 1899-1900 season, Wedlock was a part-time professional with Aberdare Athletic FC, until Bristol City FC eventually signed him for the 1905 season, and he remained until his retirment in 1921, completing 403 league appearances. First match No. 89, 16 February 1907, England 1 Ireland 0, a British Championship match at Goodison Park, Walton, Liverpool, aged 26 years 111 days. Last match No. 118, 16 March 1914, Wales 0 England 2, a British Championship match at Ninian Park, Sloper Road, Cardiff, aged 33 years 139 days. Individual honours FA Tour of South Africa 1910 (including the three tests), England's Joint-Top Goalscorer (one 1914). Distinctions Held the record for record number of consecutive England appearances (25, 1907-12). He was also the oldest goalscorer from March 1914 until May 1923. A stone mason by trade. After leaving football he was for many years a licensee of The Star Inn, near the Ashton Gate ground, on the Bower Ashton Terrace. Later renamed Wedlocks. - An English Football Internationalists' Who's Who. Douglas Lamming (1990). Hatton Press, p.264.